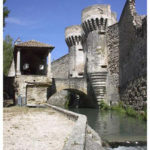 Pernes les Fontaines is a listed village “Détours de France” with its many fountains in the heart of Provence. 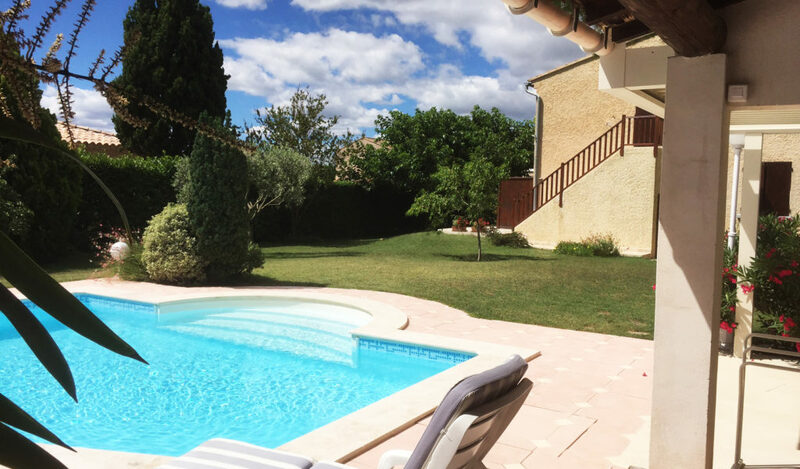 We propose you a holiday rental in Provence; a independant appartment with air-conditioned at the first floor one of a villa with its swimming pool and its pool-house very equipped. 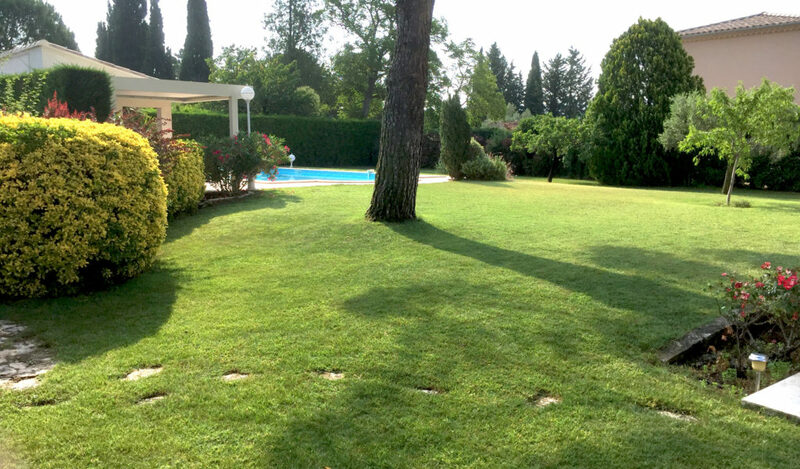 The heated swimming pool with its “swim against the current” is located in a pleasant landscaped garden and verdant. 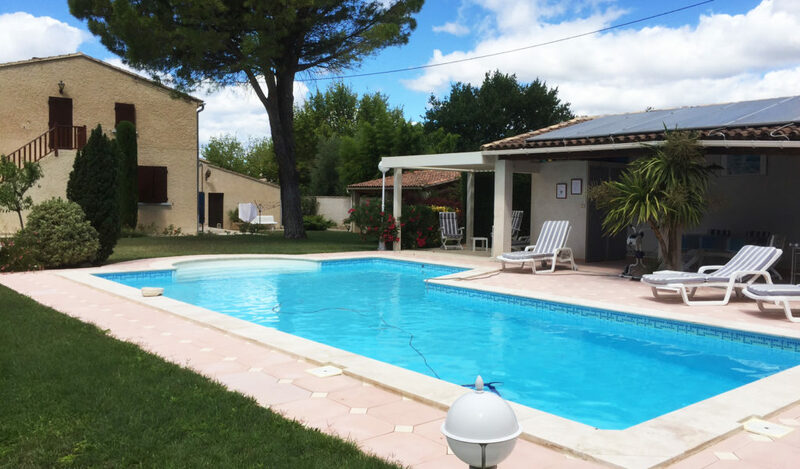 This rental classified 3 “key holidays” welcomes you from April to September; a few minutes from the historical center of the village. 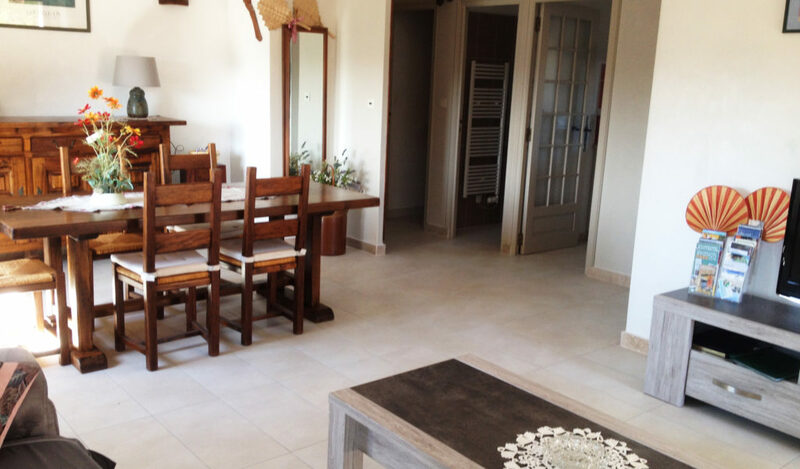 Overview of hibiscus rental; with a park of 1800m2; salt and heated swimming pool with counter-current swimming; garage for your vehicle; pergola next to the pool; a ball court, leisure facilities such as bicycles or a ping-pong table. 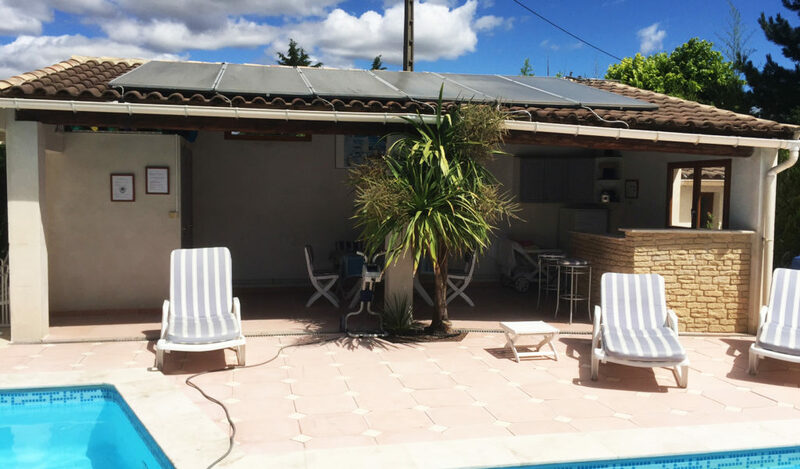 The holiday rental has leisure facilities:petanque, ping pong table, bikes et swimming pool with solar heating et swimming against the current. Discover in the region, articles on places to visit, towns and villages that are described with photographs and reviews : Tourism news. 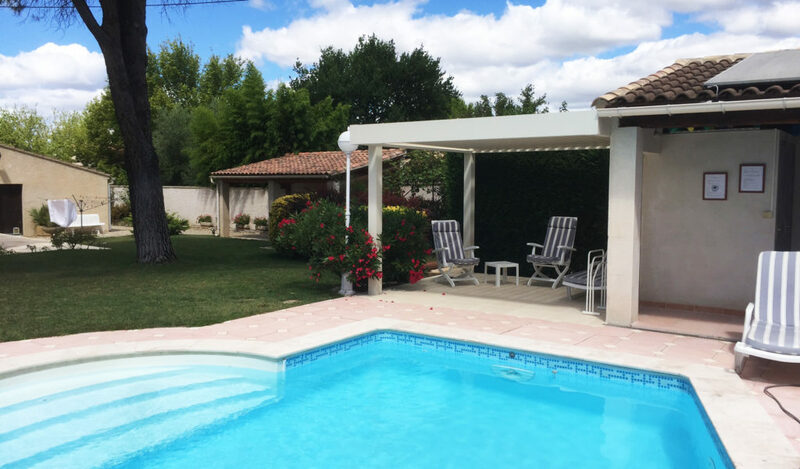 Comfortable air-conditioned seasonal rental in Provence of 70m2 totally independent on the 1st floor (between below) of a villa on a raised ground of 1800 m2 located in residential district near center of the village with landscaped garden, swimming pool and Pool house all equipped (Picture below). 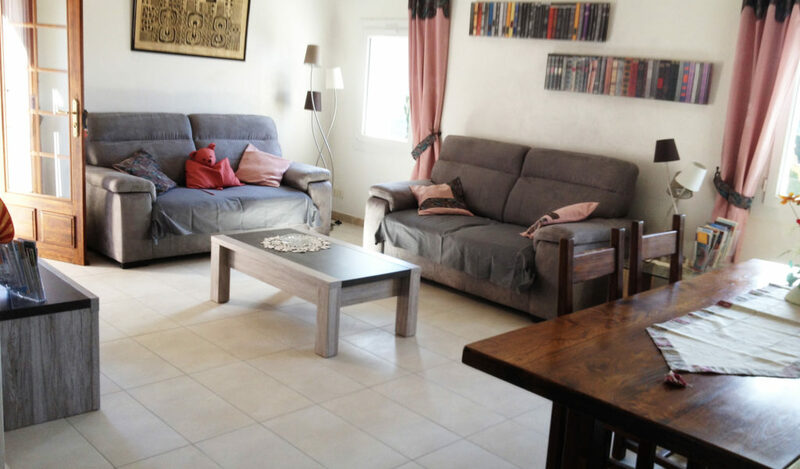 You have a large living room and dining room of 30 m with two comfortable sofas. It is equipped with an LCD TV DVD player and mini-channel. A fully equipped fitted kitchen (induction hob, extractor hood, microwaves and refrigerator with freezer, dishwasher complete the equipment.) 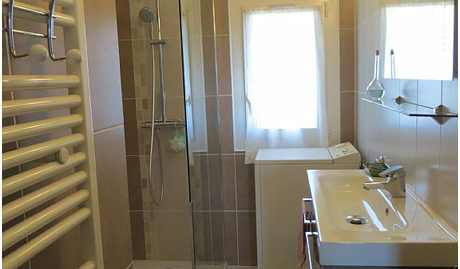 The rental includes a bathroom with Italian shower and washbasin and a washing machine, toilets independent. 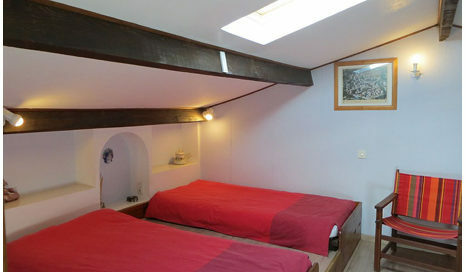 It is equipped with the central aspiration And a computer with broadband Internet connection (WIFI). At your disposal, a complete tourist documentation to better discover our region. 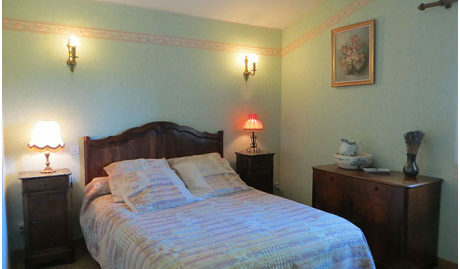 The house has 2 bedrooms: A large rustic room overlooking the garden with a 140 cm bed, a wardrobe and a chest of drawers and a children’s room under the slope with 2 beds 90, a desk, armchairs and wardrobe, chest of drawers and A baby bed. 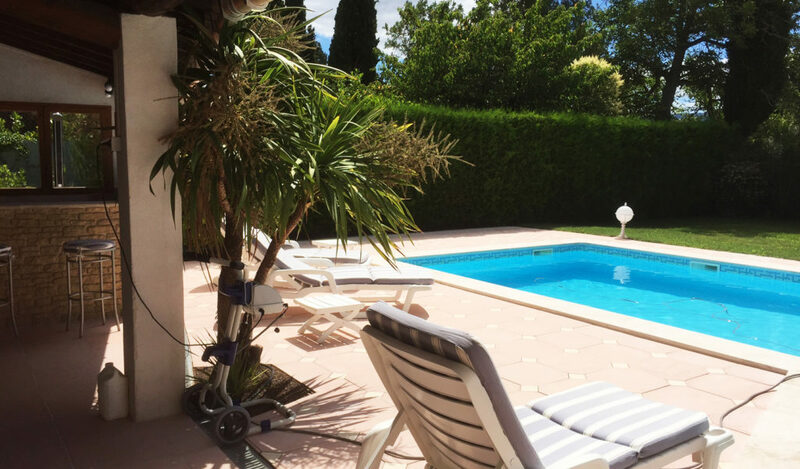 The swimming pool with its solar heating has a counter current and flexible hydro-massage. The pool-house is fully equipped, corner bar with fridge, mini chain, garden furniture, beach beds, shower And toilets. 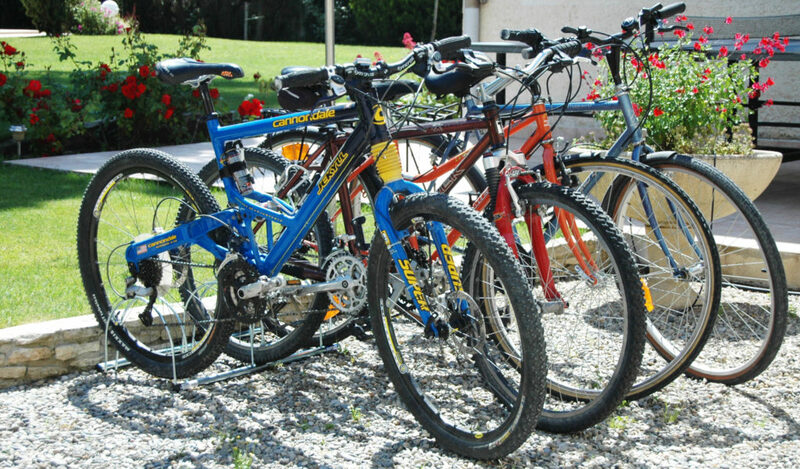 For your relaxation the ground of ball arranged (balls available) the table of ping pong on the back terrace, to complete four bikes are at your disposal two VTC and two VTT of which a cannondale suspended for the circuits VTT. You have covered parking for your vehicle. 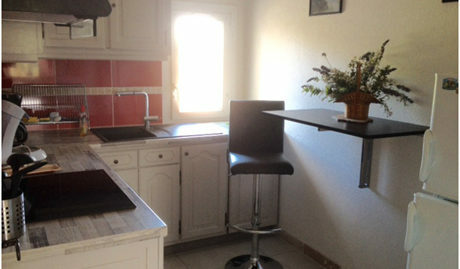 Holiday rentals Provence: For all the information, you can contact “M. Georges Lefebvre” by phone, by post or by electronic form. 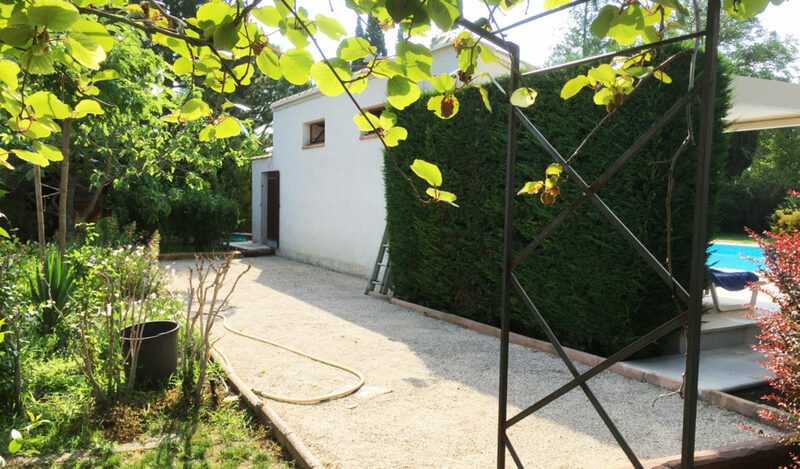 A few kilometers from the Mont Ventoux, a city has been able to thwart the dry climate of the region, by domesticating water … In Pernes-les-Fontaines, springs spring up in all the streets! Fred Maurice makes you discover a gem of Provence that does not lack of resource!